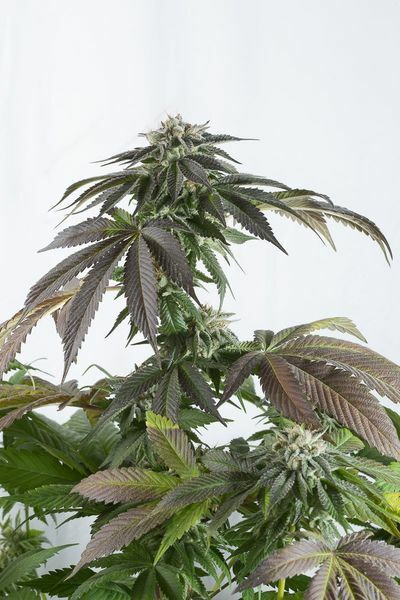 Bubba Kush CBD cannabis seeds by Dinafem Seeds belong to an Indica-dominant, feminized cannabis strain that originates from the cross of a Pre'98 Bubba Kush and a CBD-rich strain. Since Bubba Kush is indeed one of the best Indica strains ever created, and ever to become part of our collection, we have decided to develop a high-CBD version accessible to all. Bubba Kush CBD makes an excellent option for any kind of breeder, particularly for Indica-lovers looking for a soothing effect with a lower psychoactivity that won't prevent them from leading a normal life. This groundbreaking strain allows us to enjoy a wide variety of delicious organoleptic properties that are definitely worth a try, without having to worry about it interfering with our daily life. Its 1:1 ratio (8% THC / 10% CBD) is one of the reasons why it is among the top 10 therapeutic strains in our collection.